A reliable source for Wire Forms information and a resource for accessing leading Wire Forms and suppliers. Wire forms are any shapes or parts that have been fabricated via the manipulation of wire, i.e. any processes that alter wire shape, like wire cutting, wire bending and heat treating. Wire Forms Wire forms are instrumental to the success of processes in a wide range of industries, such as: industrial manufacturing, point of purchase, automotive, industrial washing, healthcare and medicine, aerospace, power transmission and more. 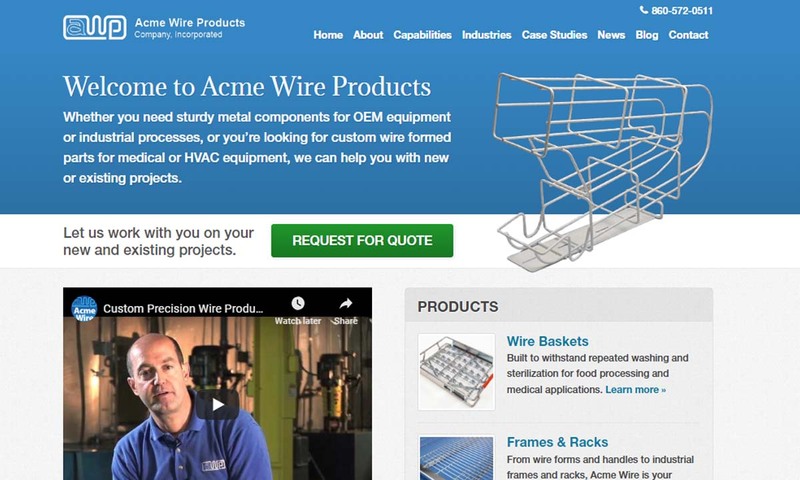 Acme Wire Products provides close tolerance wire fabrications using steel and stainless steel. Customized applications include a wide range of wire forms for many different applications. Acme works with wire from .050 to .500 diameter. With over 25 years of experience as a full range wire former, Active Wireworks is committed to quality standards & saving you money through redesign. We produce wire forms with diameters from .015" - .500". All of our wire forms are quality-assured and engineered for longevity. These durable solutions are designed with your applications in mind. 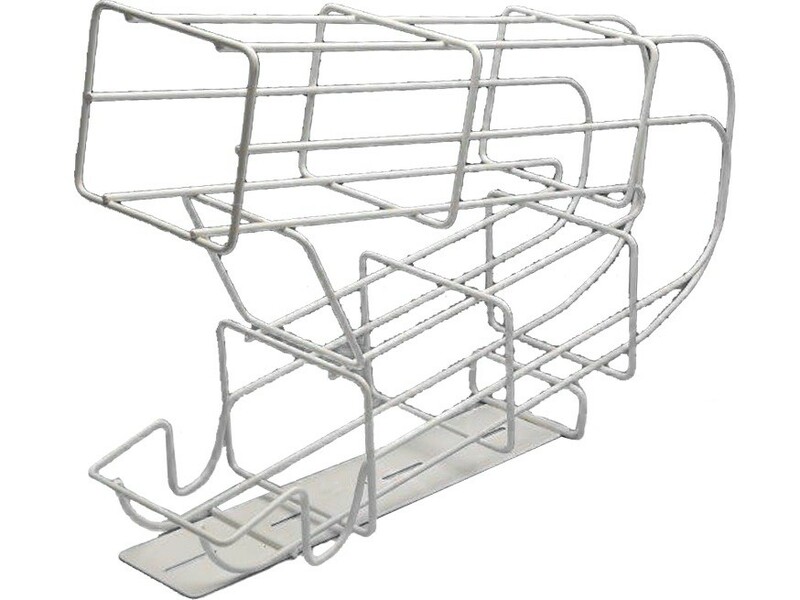 Our wire products can be configured into shelves, baskets, racks, welded wire assemblies, guards and much more! 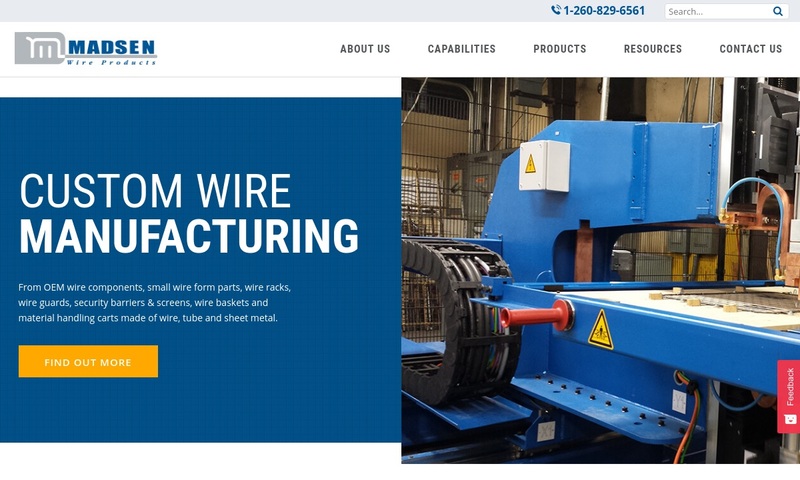 Offering a full line of wire forms and custom wire goods, Ohio Wire Form & Spring specializes in wire goods, wire racks, stampings, wire springs that are flat and dimensional and related products for many industries and applications. 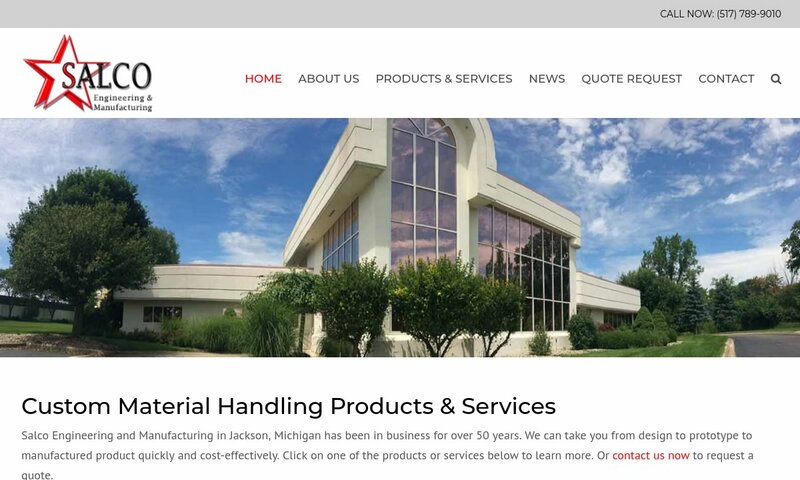 Salco Engineering is an innovative manufacturing company that has fulfilled the material handling requirements for automotive, food, medical, and other industries since 1963. 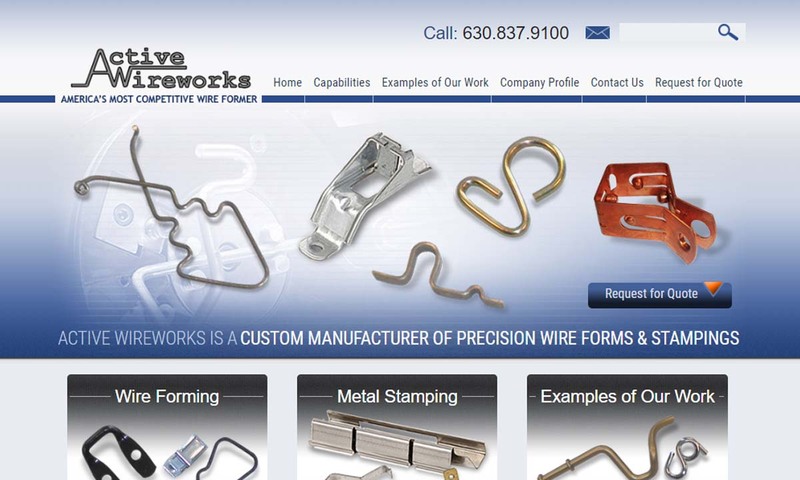 The list of wire form products is virtually endless. Examples include: wire baskets, wire displays (used for product placement), grids/grid panels, shelves and racks (used for industrial storage), spring wire, guards (used to protect and reinforce machinery), motor mounts, power transmission hardware, pins, clips, torsion springs, compression springs, screens, wire hooks, grills, coils, rings, stents, tubes and filters. Humans have been using wire forms for centuries. People made the earliest wire forms by manually manipulating wire. Later, they used handheld tools. One of the earliest wire form products was jewelry of antiquity. While jewelry wire forms are often automated now, they are still made by hand by many local artisans. The first wire mill was established in Great Britain in the 1600s. After the first mill, many more quickly followed, along with new ways to manipulate wire and new uses for wire form. One of the most significant innovations in metal forming in general of the modern age has been the integration of computer numerical control (CNC) technology. Using CNC machines, custom manufacturers are able to program their forming equipment to repeatedly produce quality designs. With this technology, they are able to create more precise and more complex designs than ever before. As a result, the worlds of custom wire forms and mass production have intersected. Wire forms can be made from virtually any metal material. Some of the most common, though, include: steel, stainless steel, aluminum, brass, copper and many alloys. Of all the metals used in wire forming, steel, or carbon steel, is the most common. Steel is a high-strength alloy made up mostly of carbon and iron. While it has high tensile strength, it is still pretty affordable. Stainless steel is a steel alloy that features chromium. With this addition, stainless steel is extra strong. It is also rust resistant, corrosion resistant and antibacterial. Available in 15 different grades, it offers a lot of variety. Aluminum is an older metal, known for characteristics such as: durability, strength, heat resistance, rust resistance and corrosion resistance. Brass is an alloy of copper and zinc. It is often used to make decorative metal forms because it has such a nice, gold-like shine that is resistant to tarnishing. It is also a good thermal conductor. Copper is a naturally occurring element that humans have been using for thousands of years. Recognized by its reddish tint, copper is an excellent conductor of heat and electricity, and it is rust and temperature resistant. During wire straightening, wire form manufacturers remove stress disfigurations that have built up in the wire. The easiest way to straighten wire is with machine rolling. If they so choose, manufacturers can use a rotary arbor instead. Straightening is very important because, without it, the wire used may break easier or be generally less stable. Next, manufacturers apply force, either machine-made or manual, to the wire in order to change its shape. Finally, to make sure the wire product is free from imperfections like sharp edges or burrs, manufacturers complete wireforming with finishing processes. Examples include: cutting, coining, heading, forming, stamping, coating and painting. When putting together a wire form design, manufacturers must consider a number of factors. These include application requirements, such as: chemical characteristics, mechanical characteristics, required tolerance value and require volume. Using these requirements as a guide, they can choose wireform configuration, material and process. Manufacturers can customize your wire forms in many different ways. These include: the addition of powder coatings, nickel plating or paint; anodizing; and the use of custom wire diameters, shapes and dimensions. Two important aspects of wireform configuration are ends and interior geometries. Common ends include: machine cut ends, chamfered ends, chisel point and turn ends and ball ends. Common interior geometries include: winging, pierced swaging, custom shaped holes, grooves and cold headings. A machine cut end is a straight edge, cut by a machine die like a guillotine knife. Machine cut ends have tiny burrs (.13mm) that cannot be seen by the naked eye. These burrs are so insignificant that they do not usually need to be removed for the wireform to be considered finished. A chamfered end is one that has been deburred via grinding and contoured slightly by a machine like a lathe. Manufacturers create these ends when no degree of burring is acceptable for the application. Chisel point and turn ends are more imprecise ends. They are made using a punching die that removes any jagged edges. Ball ends are smooth and have no edges. They are made with a lathe. The winding shape, also known as a swaging, is a wing-type shape. To make it, manufacturers press a die down into the wire. The die will carve the shape by removing metal. A pierced swaging is a like a winding, except that it also features a hole in the center. This shape is just like a pierced swaging, except that the center hole is customized. Manufacturers produce grooves with a lathe. Most often, the wire groove is used to hold a retaining ring. Finally, cold heading is the process by which manufacturers smash a flat or round head into a wire shape. They do so using a pair of gripping dies. The first one holds onto the wire tightly, as the second one slams into it. The cold heading process also produces button heading, collar heading and carriage heading. Wire form processes make use of several different machines. Some of the most frequently used ones are: hydraulic systems, fourslide machines, CNC wire bending machines and manual levers. Hydraulic wire forming systems consist of a die with a hopper and a hydraulic press. Before the wire goes into the system, it moves through a straightening machine. In the straightening machine, the wire is not just straightened, but also de-stressed. This ensures that the wire has consistent properties. After this preliminary step, operators feed the wire into the die, where it takes on its shape when pressed. Sometimes, operators are replaced by pick-and-place robots. A fourslide machine stamps wire on a single workpiece from four different sides. For this reason, fourslide machines work more quickly than hydraulic presses. In fact, using a fourslide machine, a manufacturer can make up to around 3,500 simple stampings per hour. To increase the machine’s versatility, manufacturers can make use of their multi-purpose dies. CNC wire bending machines are another efficient way to wire form. They make use of computer numerically controlled (CNC) technology, which allows them to create precise and complex 2D and 3D shapes. CNC wire bending machines can, on average, complete one project in less than an hour. They are the preferred choice for custom wire forming. Manual lever wire forming is the oldest wireform fabrication method. During manual lever wireforming, manufacturers take a handheld lever and spindle and manually bend the wire around and past an anvil. This method does not work well with large volume productions, nor does it create consistent results. In order to achieve the variety of wire forms available, there are numerous different wire forming processes; the most common of which include coil making, roll forming, metal stamping, welding and weaving. Coil wire making, also referred to as coil spring making or coil winding, is the process of winding wires around mandrels, which are metal blanks, in order to create coils. A less part-specific/more universal process, roll forming is used to produce flat, round and shaped wire parts. A continuous process, roll forming uses calendars and die punches to shape the wire. Another major wire forming process is metal stamping, in which wire is precisely shaped into various forms through the use of a stamping press. A couple different methods of metal stamping are used for wire forms, including fourslide stamping and deep drawn stamping. In fourslide stamping, manufacturers use a press with four horizontal forming slides. This method creates multiple forms in different directions. Deep drawing concentrates on form depth rather than form numbers. This process allows for a deeper wire form depth than any other process. Finally, welding is a process that involves chemical reactions. Welding can also refer to various spot or seam welding processes, such as electric resistance welding (ERW), metal inert gas (MIG) welding or tungsten inert gas (TIG) welding. ERW utilizes an electric current and the application of mechanical pressure to weld wire. As types of ERW, MIG and TIG also utilize inert gases to reduce any contamination; while TIG welding is the most accurate type, it is much more complex and requires a very skilled operator as well as longer production times, so MIG welding is often used instead. Weaving may also be used in order to create wire forms such as screens, grids or guards. Another type of wire forming that is used less widely is weaving, which can be used to fabricate screens, grids, guards and the like. Wire forming offers great versatility. With it, you can create or request the creation of parts and products of virtually any size, shape, tolerances and material. Plus, with so many different available forming processes, it fits into any budget. To get the highest quality wire form, we recommend you work with a seasoned wireform manufacturer. This way, you will get the best possible advice and services. 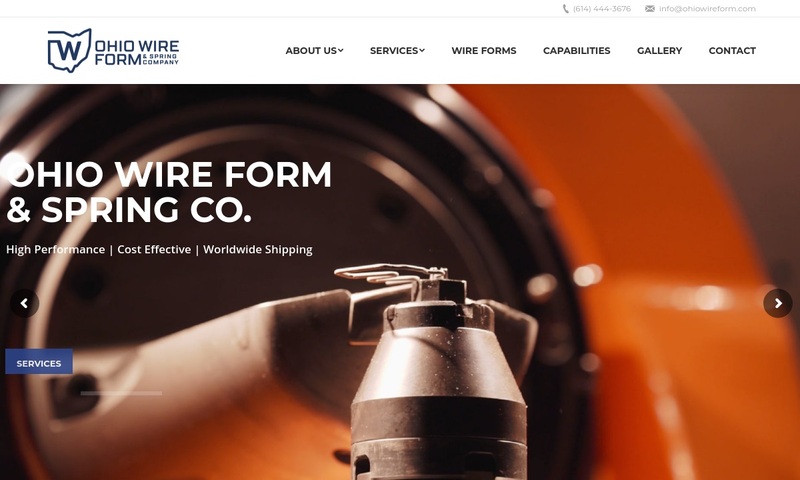 To help find the right company for you, we’ve compiled a comprehensive list of those custom wire form suppliers we trust most. Take a few minutes and look over what each of them offers. When you’re ready, reach out to three or four in whom you’re most interested and talk over your specifications. If your request is quite in-depth, don’t hesitate to request prototype work.  This will ensure that the manufacturer understands your application, and that you will only choose a manufacturer able to complete your request as you want it. After that, make your choice and get started.